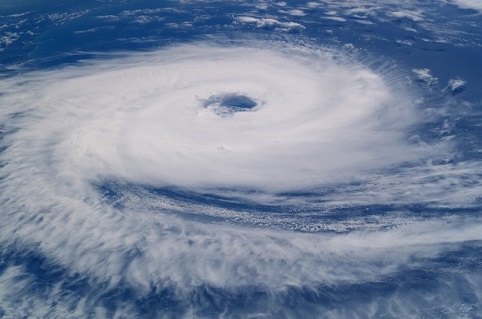 If you’ve never experienced a major storm, an impending hurricane can be a scary thing to think about. After making sure you and your family have a plan, you should make a plan to secure your home. By taking these steps, you can keep your home safe from preventable damages. First, when a storm is on the way, bring in any patio furniture or secure it if you have to leave it outside. This will keep it from being picked up by high winds and thrown into your home. Those who need wind damage restoration list unsecured objects as the culprits. Also, be sure to drain your pool to an acceptable level. This will keep your pool from overflowing and flooding your backyard or patio. Next, trim back any trees or shrubs that look dead or that are over hanging. Due to high winds, branches could break and fall on your property. If you can’t trim them, or have plenty of time before a storm, consider calling a landscaping service to see if they can help. Finally, bring in any outdoor pets and secure any barn animals. It’s easy for them to get injured in a storm or get lost. If you have to evacuate and can’t take your animals, contact your local ASPCA or animal shelter to see if they can safely take them. After the storm has passed and you begin to see damages, call DKI to help you. Our 24 hour emergency services can quickly assess the damage and work to getting you and your family back to your home.